You have questions, someone has answers. Ask away and we can all learn together! I'll do better and ask 2 questions. 1. Why hasn't Saurophaganax been properly described as an Allosaurus species yet? I mean considering how common Allosaurus remains are one would think this would have occurred some time ago. 2. Since the Brachiosaurus inherited the 90ft length from the few brachiosaur bones of Ultrasauros, does this mean that the American species of Torvosaurus also inherits the 35-36 ft length from Edmarka since it's considered remains of Torvosaurus? 1. Saurophaganax has been declared a separate genus from Allosaurus in the latest study assessing allosauroids. 2. Yes, T.tanneri could grow to lengths of 36-38ft, as the Edmarka specimens were reassigned to it. Did they use the recent New Mexico specimen for that? Also, T. tanneri would be 5-6 tons correct? I don't know, but there's three known specimens of Saurophaganax (IIRC) that were used. And yes, T.tanneri was ~5.8 tons. Any information about non-beaked coelurosaur heads? I remember reading-It was most likely Gregory S. Paul's book on carnivorous dinosaurs-that Yangchuanosaurus was better adapted for hunting then Allosaurus. Is that true? And does the size of 35-36 ft still hold up today? No, neither is ''more adapted for hunting'' than the other. Although Yang was larger. And yes, it was about 34-35 ft in total length. How much did it weigh? 3-4 tons or so? How is Elaphrosaurus considered a member of the Ceratosaur family? Rauhut et al. 2016 recently classified it within the Noasauridae (which is a branch under Abelisauroidea) in Ceratosauria. So realistically speaking it may actually be more closely linked to Abelisaurids, but still hence under the group Ceratosauria. Are Gasosaurus and Kaijiangosaurus still valid species despite their limited remains? If so, is the second dinosaur considered a full grown version of the first? Both are currently considered valid as independant species, from what I've seen. has a complete skull of Becklespinax ever been found? I don't think we have skull material of Becklespinax at all, actually. Do the 6 species of Maimenchisaurus represent stages of growth? Unlikely given most of them lived in different formations. I have two questions. First, is the explanation that Nanotyrannus is actually a juvenile Tyrannosaurus rather than its own genus the more accepted conclusion? I know there's the 'Dueling Dinosaurs' specimen, but I believe it hasn't actually been properly studied. Second, in Jurassic Fight Club, there's the rather unbelievable claim that Allosaurus hunted Ceratosaurus into extinction, with the main explanation being, "As you go farther up [as in start to get into younger rock] in the Geologic Time Scale you start seeing more Allosaurus specimens and fewer Ceratosaurus specimens." Is there any weight to this statement? I always found it completely absurd. @1; The dominant view's that Nanotyrannus is a juvenile Tyrannosaurus, however, you'll still find people who conclude otherwise based on supposed features of the ''Dueling Dinosaurs'' specimen, which is kind of irrelevant until it can be properly analyzed. @2; Oddly enough, Wikipedia seems to hold that Ceratosaurus survived into younger layers than Allosaurus did. Either way, if there was really this gradual variation between the % of both species, it's most likely that one outcompeted the other for prey and resources, not actively predated it. There are other reasons why some people believe that Nanotyrannus is it's own dinosaur. Apparently, the holotype skull shows adult features and that there are so many teeth described as that of Nanotyrannus that many people consider it too much for it to be an adult. Has there been any scientific research done to prove that the head and neck of Nemegtosaurus is actually that of Opisthocoelicaudia? The skull showing ''adult features'' is most likely bull. Even Nanotyrannus supporters agree that the known specimens aren't fully grown, although they diverge on how much it had yet to grow. There being 'too many teeth' is simply another line of evidence for it being a juvenile, as juvenile dinosaurs were much more common than adult ones. And not that I know of. When was it decided that 66 Million Years Ago was the established date for the extinction of the dinosaurs as opposed to 65 Million Years Ago? Was there a paper or new release of evidence that dated the KT Boundary and the extinction event more precisely than before? 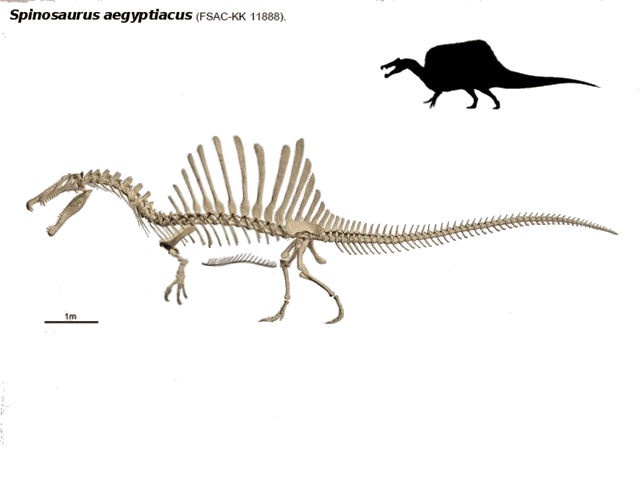 Is the skeleton of Gondanatitan a juvenile? If Prehistoric Wildlife's info is straight (it almost never is...) then Gondwanatitan was an 8-meter-long animal, so the 7m holotype was probably a subadult. It most likely did both, but for most of the time it was a quadrupedal animal. Any time spent on it's two main legs was for a short time period.